GO Transit is Canada's first, and Ontario's only, interregional public transit system, linking Toronto with the surrounding regions of the Greater Toronto Area (GTA). 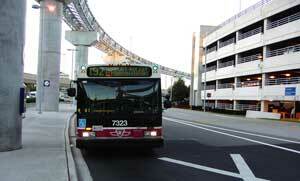 GO carries 47 million passengers a year in an extensive network of train and bus services that is one of North Americas premier transportation systems. Since GO began operating in May 1967, more than three-quarters of a billion people have taken the GO Train or the GO Bus. Officially known as the Greater Toronto Transit Authority (GTTA), GO Transit provides safe, convenient, and efficient transportation to the communities of the Toronto area. Questo convertitore fornisce la conversione di MPG a L/100km (miglia per il gallone degli Stati Uniti ai litri per 100 chilometri) ed indietro dei litri per 100 chilometri (L/100km) a MPG (miglia per il gallone degli Stati Uniti). Toronto is a city located on the shore of Lake Ontario, and is the capital of Ontario. Toronto is the 5th most populous city in North America behind Mexico City, New York, Los Angeles and Chicago. 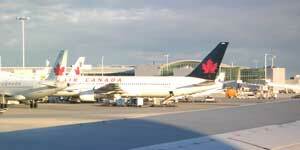 The airport of Toronto is Lester B. Pearson International Airport (YYZ, CYYZ). 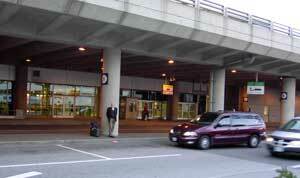 The airport has a good public transit (TTC) connection with downtown Toronto, and multiple car rental companies operate in the airport. Population estemation is 2,613,000 in 2005. Toronto is one of the most multicultural and ethnically diverse cities in the world. 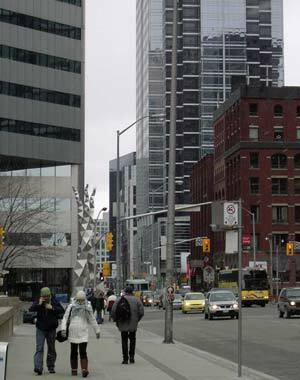 It is Canada's financial centre and economic engine, as well as one of Canada's most important cultural, financial, and health sciences centres. Toronto was designated by the federal government as one of Canada's cultural capitals. 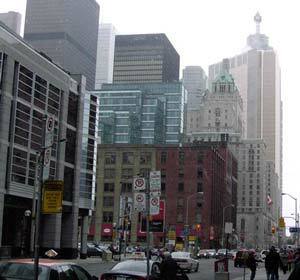 The City of Toronto is part of the Greater Toronto Area (GTA) . There are several dosens of hotels and motels in Toronto and Greater Toronto area (GTA). Toronto is also at the centre of the Golden Horseshoe, a densely populated region in south-central Ontario which is home to roughly eight million people, or one quarter of the population of Canada. The six former municipalities of the former Metropolitan Toronto (dissolved) were amalgamated into one municipality, and the former regional government system dissolved, by the Ontario government in 1998. This resulted in the creation of the ('megacity') City of Toronto, in political structure, as it is today. The current mayor of Toronto is David Miller. 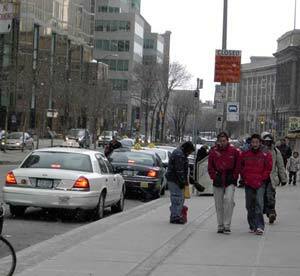 With no designator, Toronto alone usually refers to the GTA or the Toronto Census Metropolitan Area. Located 27 kilometres (17 mi) west of downtown Toronto by road, Ontario in Mississauga, Ontario, is Canada's busiest airport and part of the National Airports System. 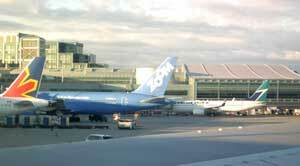 Toronto Pearson International Airport currently has two operating terminals: Terminal 1 and Terminal 3. Terminal 1 is designed to handle domestic, international and transborder flights in one facility. 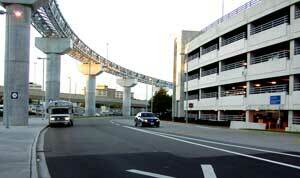 On January 30, 2007, the new Pier F opened to serve transborder and international flights. The terminal was designed by Skidmore, Owings & Merrill International Ltd., Adamson Associates Architects, and Moshe Safdie and Associates. Is not an easy thing to find discounted airline tickets especially during high seasons (summer and winter holidays are the busyest periods of year). Many travel agents can provide low fairs and lots of additinal travel stuff like hotel or motel reservatins and car rentals. Agents can help to find all the information about flights: prices, schedules, booking information and flight itinerary. Most ot agencies have online reservations of tickets, so you can place an order online. At the same time most airlines can sell cheap airline tickets at low seasons, so it always make a good sence to check if discounted fares are available from official websites of airlines. Many companies can book and sell tickets in advance so it could be a good idea to start your vacation planning in advance, for about 3 months before the vacation and book an airfare online. The most popular family vacation destinations from Toronto are: Florida, California, Cuba, Dominican Republic, Los Angeles, New York, San Francisco. 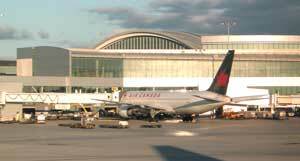 Business travel from Toronto can include such places like Chicago, New York City and Washington D.C.
Terminal 3, which opened in February 1991, was built to offset traffic from old Terminal 1 and Terminal 2. It was built as a private venture and was a state of the art terminal containing, among other things, a US customs pre-clearance facility. In June 2006, the East Processor Extension (EPE) was opened. With a soaring, undulating roofline, the EPE added 40 new check-in counters, new retail space, more secure 'hold-screening' for baggage and a huge picture window offering one of the most convenient apron viewing locations at the airport. 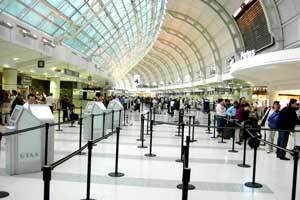 Improved Canadian Border services and a more open arrivals hall were included in Phase I of the expansion. Phase II of the EPE is due to be complete in 2007 and will include larger security screening areas and additional international baggage claim areas. Also due for completion by 2007 is the West Processor Expansion Shell with complete outfitting to be complete by early 2008. 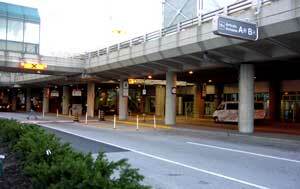 There are many car rental companies in Toronto. The most well known are Discount Car Rental, Hertz, Avis, Thrifty, Budget Car and Truck Rental, Alamo, Dollar Car Rental and Enterprise Car Rental. You can check if your credit card gives you some discount on particular rental brand. It always makes sense to verify if your current car insurance covers a rented car, otherwise you may need to pay extra for rented car insurance. Some of credit cards can cover insurance for a rented car if you pay with it, so it could be a good idea to check if your credit card has such an advantage. If you don't have any discounts provided from brand name car renters, you can try to find cheap car rentals from an independent car rental agency. Make sure to ask about all the applicable prices and taxes to find the real cost of a rented car. If you are not fully licensed in Ontario (for example if you have only G2 driver's license) it's better to ask if company provides services for your particular situation. Usually it's possible to get an additional discount for one week rental so have in mind that daily car rental for 5 days can be more expensive that a weekly rental. It's always possible to find low prices for car rentals in Toronto, just be patient and make some research before booking a car.